The Undergraduate Research Opportunities Program is located within the Center for Academic Enrichment on the second floor of the G. Wayne Clough Undergraduate Learning Commons. 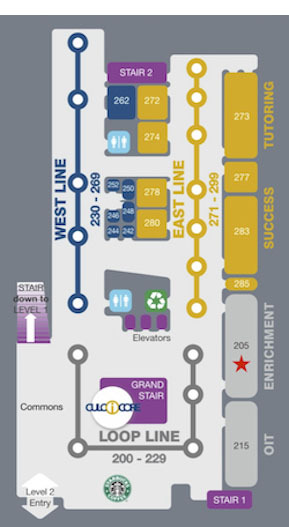 Get directions to the Clough Undergraduate Learning Commons. The Clough Lounge is also located in Suite 205 (next to Starbucks). Swing by the Clough Lounge in between classes or while you're taking an afternoon break. The Lounge is open from 9:00 a.m. - 5:00 p.m., Monday through Friday.